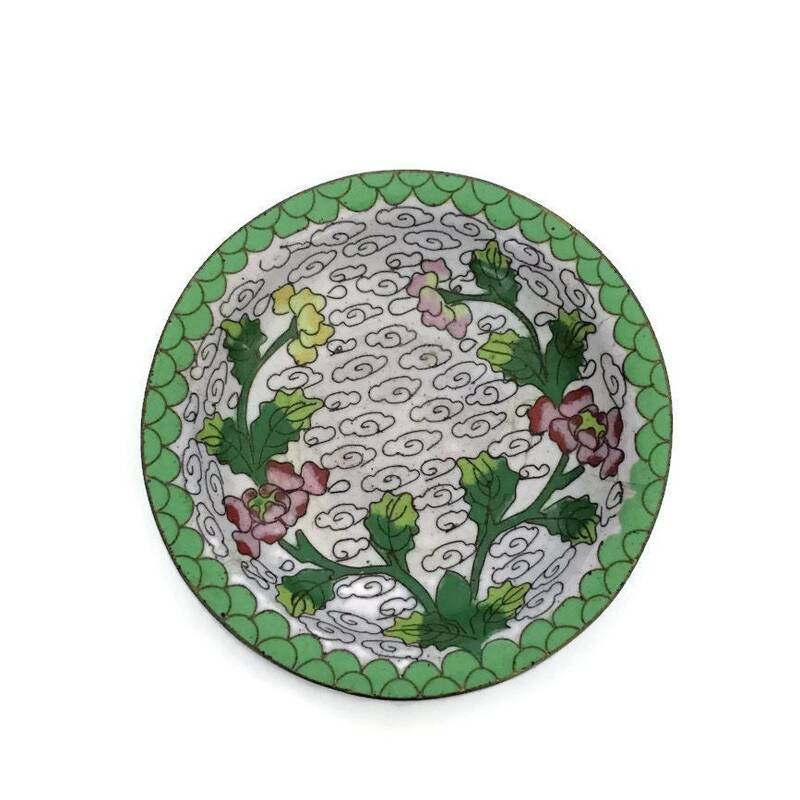 Sweet round floral cloisonne dish - primarily pink and green floral with a fish scale pattern. 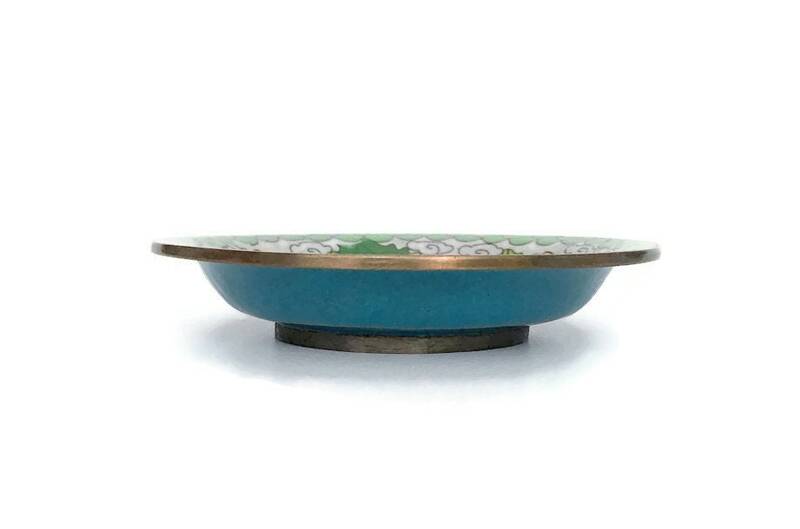 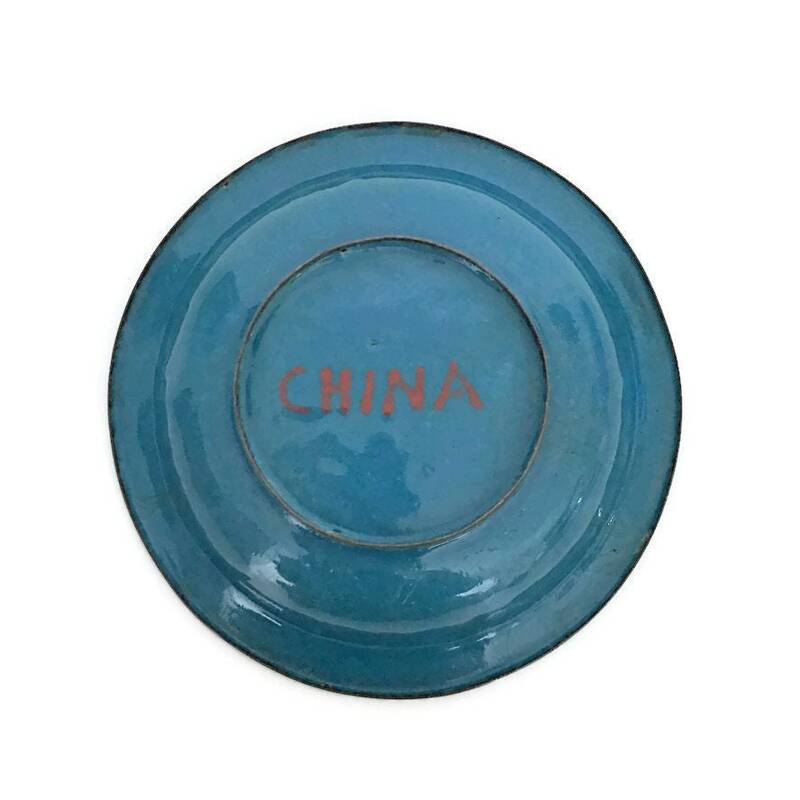 Bright blue bottom marked China and rimmed in brass. 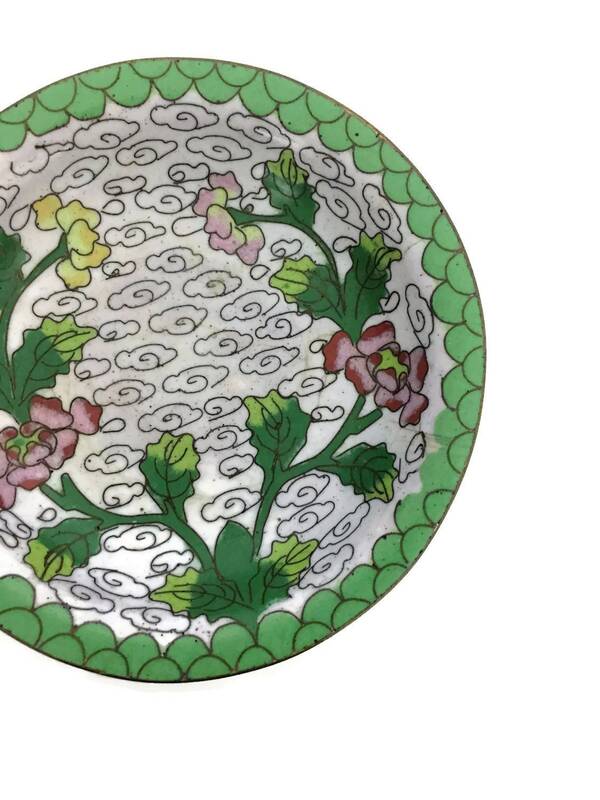 Excellent vintage condition and would make the sweetest baby gift!